OUTLANDER Season 3 will premiere in September! 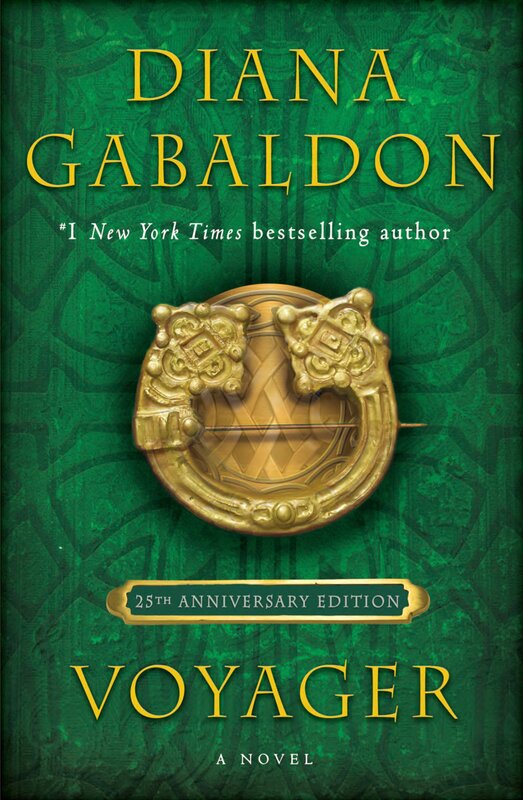 Looking for a way to pass the time until OUTLANDER Season 3 returns in September? Here's a suggestion that was posted on Compuserve the other day. Has your reaction to the episode changed over time? Did you notice things on re-watching that you didn't catch before? Is there anything in the episode that seems like foreshadowing of future events? What are your favorite (or least favorite) scenes, lines, or moments in the episode? 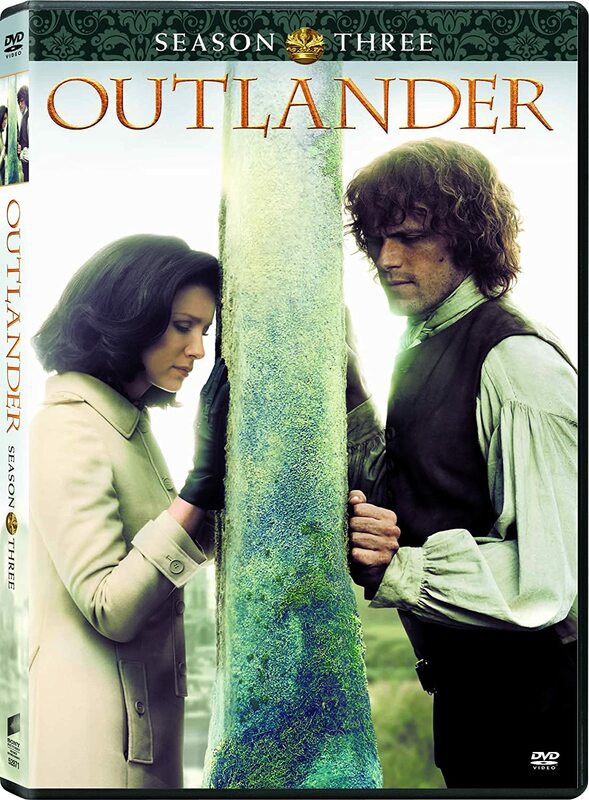 If you haven't watched all of OUTLANDER Seasons 1 and 2, there are SPOILERS in this post. Read at your own risk. The opening shot, of the gorgeous Highland scenery, is just breathtaking! In many ways the first season is a "love letter to Scotland", as I think Matt Roberts said of EP105, and this was our first taste of it. I haven't seen the opening credits of the first half of Season 1 in a long time, and I had forgotten some parts of it, like the glimpse of Frank and Claire sitting on the dock. Seeing Diana's name in the opening credits reminds me what an enormous thrill it was to see this, the first time. The bit with Frank remembering how he used to doodle the lines in Claire's hand on official reports is cute, and serves to humanize him more than in the book. Seeing the half-destroyed 1940's Castle Leoch was a shock. I had forgotten that. It looks really WRONG, especially now that i've seen Castle Doune, where they filmed it, with my own eyes. Good to see the Reverend and Mrs. Graham again. Of course I can't watch the tea-leaf reading scene without hearing the echo of it in Claire's fortune-telling in EP114, "The Search", where she borrows heavily from everything Mrs. Graham told her in this scene. The mention of Sandringham's death (with the conveniently timed rattle of dishes <g>) now conjures up a whole host of images and bits of dialogue from EP211, of course. I still don't like the ghost scene. It's nearly impossible to make out the ghost in the dark, and I for one can't tell what he's wearing. Maybe Frank just has much better eyesight than I do? The scene with the dancers at Craigh na Dun is just mesmerizing, eerie and beautiful, and I love the music as much as I did the first time I saw this episode. Watching the sun rise over Craigh na Dun now makes me think of the final scene of Season 2, of course, with the dawn lighting Claire's face as she realizes Jamie didn't die at Culloden after all. I had forgotten about "Run, Rabbit, Run." <g> I love the long, lingering look Claire gives Frank as he leaves -- take a good look, you won't see him for a while! Even though I knew it was coming, I still jumped at the sound of the gunshot. Yikes! The music in the chase scene is just wondeful. When I first watched this episode in 2014, I found it nearly impossible to tell the clansmen apart. Now, of course, it's easy to spot Rupert ('We could put her to the test") and Angus. The first meeting between Jamie and Claire is just wonderful, every bit as I had always imagined it from the book! And here's the Jamie and Claire theme music, for the first time. <g> I love that! As they mount up to ride away, it's absolutely pouring rain. I hadn't remembered that, and I feel sorry for the actors having to film in those conditions. But Jamie's "You're shakin' so hard it's making my teeth rattle" is a great line! When Jamie intercepts Claire as she's trying to escape, I thought of the big argument by the roadside in EP109, "The Reckoning". You can see flashes of that here, especially in Claire's facial expressions and body language. "That ride through the dark together....", as Jamie recalls much later.<g> Cait is more or less channeling Claire in the scene where she dresses Jamie's wound, and it's amazing to see. And that "Thank you, Sassenach. Truly." is just wonderful! I've always felt that Jamie was speaking on behalf of all of the fans who waited so many years to see this story come to life on TV. 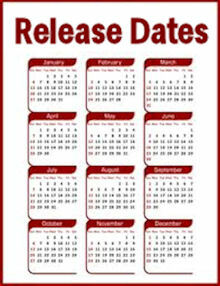 I plan to continue posting these each week until September. Please come back in a few days to see my impressions of Episode 102. Love this, Karen, and I love your idea about watching one episode between now & September plus your thoughts on Episode 1. It's one of my favorites because its where "it" all begins.<3 I love the ghost scene though and wonder how it will all play out in the end. :-( BUT, I'm not anxious for the end anytime soon! 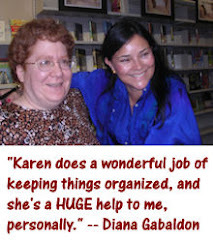 :-) Diana is an amazing writer and I'm so grateful for her books and that we now have the show as a companion - not a mirror adaption but that's ok. What a wonderful ride we are on in Outlander world! Hi Karen , I have the Outlander Cookbook and coloring books and they are ways that fans can become creative , the recipes in the Cookbook are fun to make , I used Claire's Chicken and others during the recent Holiday Season in December and were a success, and I loved making beautiful pictures in the Coloring Book so they are just some of the ways for fans to pass the time until season 3 finally starts , please post more soon. love Your Blog, Sincerely . I loved the first episode . I had heard of Diana's books from folks I knew online who were fans like me of Highlander the TV series , but I never got around to reading them. I was fascinated by the first episode . I especially loved the scenery and the scenes of Frank seeing Jamie's ghost gazing up at Claire, Jamie coming after Claire after the ambush, and the scene of Jamie and Claire together when he told her about himself and she treated his wounds . However, I lost interest after the second episode, but then surfed into the wedding episode and was captured for good. After season one ended, I spent the summer reading the eight books in the series. Now, Diana is my favorite author , and Outlander is my favorite show. Can't wait for season three. I loved the ghost scene! Love the books, love the show, Diana, anything Outlander! I enjoy your blog immensely. Hi Karen , I just started re=watching season 1 and beginning with this episodes , its a favorite of mine because you get to see what Claire is and a view of her background , I'm glad they showed her as a kid , loved the ghost scene and the Celitc Dancing scene, and the rising sun , love the scenes with Claire with the stones and afterwards , the meeting with Black Jack was just like the book , can now recognize the Hghlanders including Dougal , love the way Jamie looks at Claire as she tends his arm and love there first encounter when he threatens to toss her over his sholder, sam is perfect in the scene , like the seeing Castle Leoch as a living castle instead of being a ruin in the future, the music is perfect for every scene, will be watching it for awile, please post more soon. Happy week. please post more soon. sincerely Yours . I like the scene in which Jamie goes after runaway Claire after the ambush. When Jamie tells Claire "Well, you don't look that heavy. If you won't go with me, I shall throw you over my shoulder. Do you want me to do that?" I always smile and say "Yes, yes, I do!" Except when Hubba is in the room.